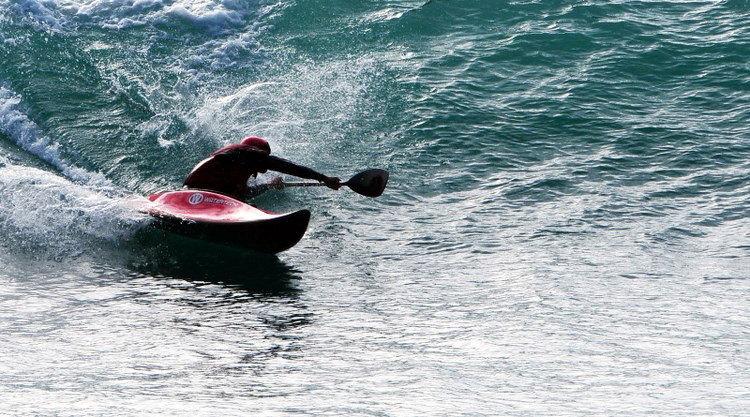 O Club Kayaksurf Galiza não pára! Depois da prova no passado fim de semana, aí está mais uma iniciativa dos amigos galegos com a colaboração do multi-campeão do mundo de waveski, Mathieu Babarit. Será um curso de formação para todos interessados na modalidade e os dados para participarem estão todos em baixo. A data proposta para 2010, é qualquer fim de semana de 13 de Novembro até ao de 15 de Dezembro (esta data será decidida de acordo com os inscritos). Javi Diaz, NEWS TEAM kayaksurf.net, reporta! -Briefing por la mañana a las 9.00am en el spot. -A última hora críticas sobre lo grabado y película de waveski. -Por la tarde conclusiones y prueba entre los alumnos. También se darán clases sobre eskimotage si necesario. El precio es de 170 euros, incluye los waveski para los alumnos que no tengan suyo propio. Mathieu habla ingles y francés pero Caro habla español. Data: de acordo com os inscritos, qualquer fim de semana entre 13 de Novembro até 15 de Dezembro. Gracias Javi e parabéns pela inicitiva! Gente que faz! 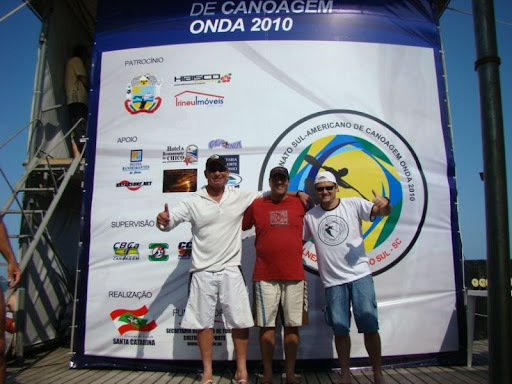 Os ecos do Sul Americano de Canoagem em onda continuam a chegar. Depois dos excelentes videos Rota dos Tubos, mais fotos que nos chegam de Gabriel Landini - NEWS TEAM kayaksurf.net - directamente da Argentina. As ondas maiores dizem respeito ao dia anterior ao início da prova. Pena! Vejam mais em baixo o slide-show cheio de fotos! 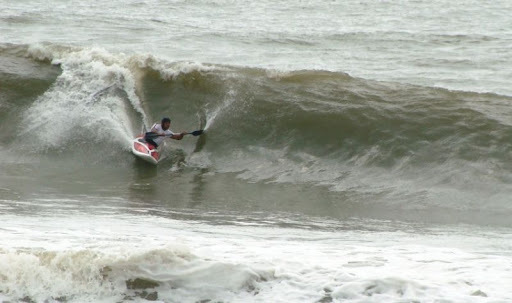 Still the echos of the South American Championship of Kayaksurf & Waveski. 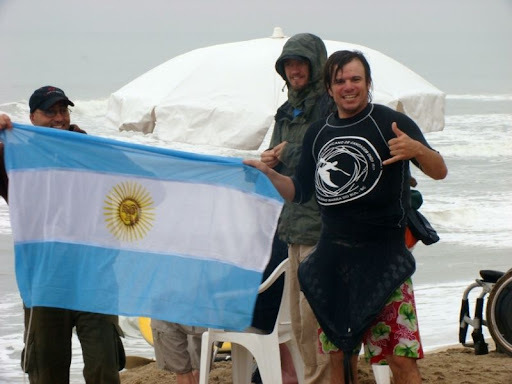 It was last month (22,23,24th) and, after the great videos from Rota dos Tubos productions, we've somo more photos that Gabriel Landini - NEWS TEAM kayaksurf.net - sent us directly from Argentina. The bigger waves were in the pre-event. After these first photos, comes the Slide-Show with plnty more. Enjoy it! La eleccion de la morada de los competidores nos brindo un hotel exelente con todos los servicios y seguridad para los equipos, ademas al estar todos juntos permitio buena confraternizacion y charlas interminables con los pares. Bueno les envio algunas fotos mas para deleite de la galera. p.s: Fotos Dia anterior a la competencia Cerron terrible !!!!! Australian waveski shredder Blaire Moore has just won the Australian National Titles! It's said that winning an Australian Titles is like winning a world titles due to the waveski hot bed of talent in Australia that attend their nations titles and not the worlds. Its amazing that just a few weeks ago Blair won the US Waveski Open Titles. 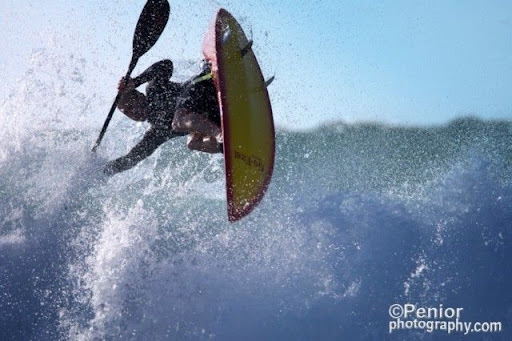 To now follow it up with a National Championship Title in his home country everyone better look out for this guy at the World Waveski Championships 2011, Portugal, Ocean Spirit Festival. A parceria com o maior portal da canoagem mundial continua a dar frutos. Desta vez, seleccionámos a entrevista do israelista Omer Singer para publicar no Playak. É sempre com gosto que vemos o kayaksurf com tempo de antena no Playak! 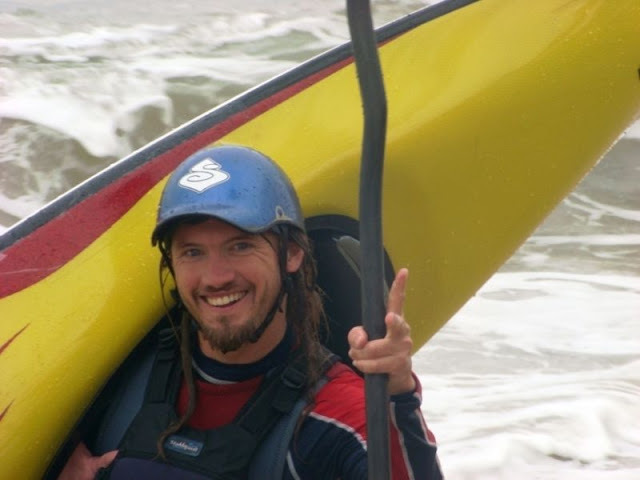 The great partnership between kayaksurf.net and Playak - worldwide paddling website - gives us the chance to select some interviews to publish there. 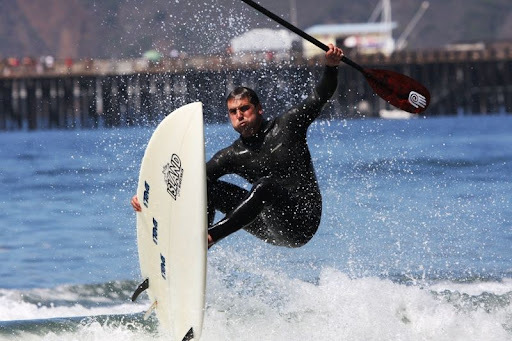 This time, Omer Singer, the israeli surfkayaker, is on the front page of Playak. Cool! Check out the links below. Surfada na Foz do Arelho / 27 de Outubro / Grande estreia de mais um Boost! Randy Phillips and Fletcher Burton keep us informed about the adventure of Tao Berman. According to Randy, "Tao has just completed 2 days of practice runs at Nelscott Reef this week. He was able to tow-in to some of the smaller set waves - solid 25’ waves to test out his surfing abilities and his kayak performance. He was happy to report the kayak was plenty fast enough, it just needed to gain some more weight for the chop. All went well until Tao swapped his surf kayak for the Red Bull PWC with a photographer on the back for a closer inside look at some of the bigger waves. A set wave closed out the channel between the peaks with Tao and company caught inside. He tried to out run toward shore what is said to be a 50’ close out. Apparently the ski had sucked up a ski rope earlier and had not been completely cleared – which results in little to no power when he needed it the most! Tao, the photographer and the ski were enveloped in a very large wall of white water. The photographer bailed and suffered a torn ACL before happily getting to shore. Tao made it to shore safely prior to ending up on the rocks. A woman witnessing the event from shore called the Coast Guard to rescue them. 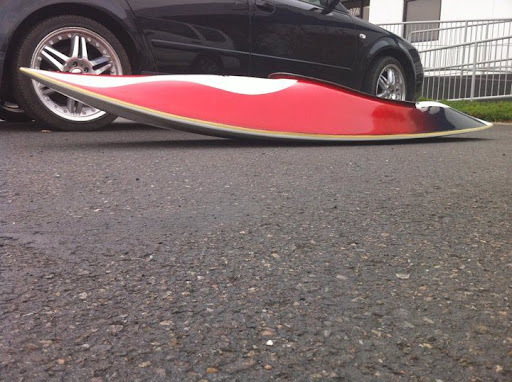 No word on the fate of the ski! I am hoping someone had their video going. 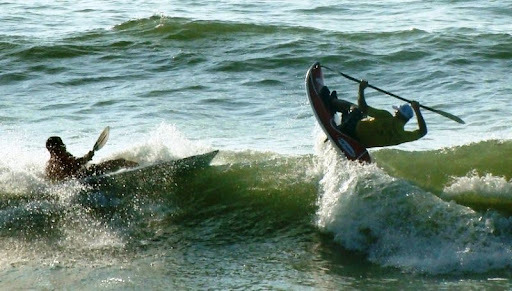 Glyn Brackenbury já tem disponível no site surfkayakskills.com os calendários prontinhos para encomenda. A Mega patrocimou a iniciativa e, só pelas fotos, já vale a pena ;) E sabem que mais... já lá vêm registadas as datas de dois eventos: Santa Cruz Kayaksurf Festival de Santa Cruz (EUA) e o nosso Ocean Spirit Festival. Fica a sugestão! 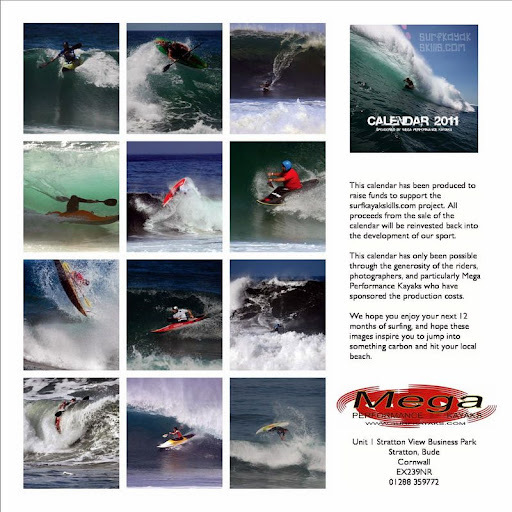 John Watson and Glyn Brackenbury sent us the latest news about his great project - Mega Calendar 2011. 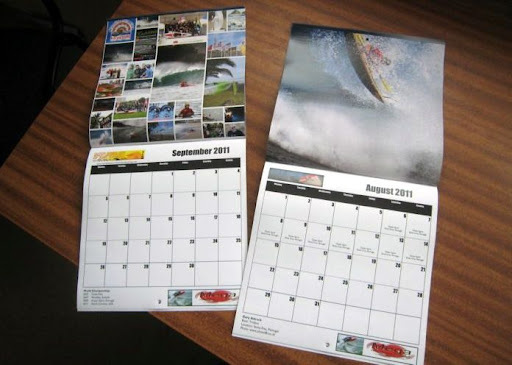 According to John: "We have back from the printers today a www.surfkayakskills.com 2011 surf kayak calendar with some great shots and printed on good quality gloss paper. It looks superb! Dates for two events are published on the calendar. 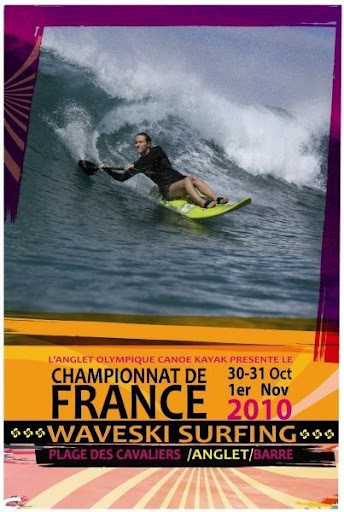 We have printed "Santa Cruz Surf Kayak Festival, US" on 17, 18, 19 and 20 March 2011, and Ocean Spirit on the August dates. The September page is a montage of the 2005, 07, 09 Worlds and the banner for US East 2011. People can buy them from the website now. However, if surfers from Portugal want to get together to save some postage costs, if you want to buy a minimum of 10 we'll cover the postage costs to one address free. Just get in touch with Glyn or myself if you or anyone else would like to do this." 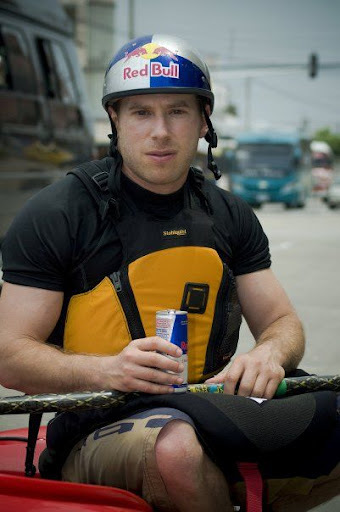 A notícia chegou-nos por Fletcher Burton, nosso colaborador habitual nos EUA sobre waveski e SUP. O norte americano Tao é detentor de vários recordes mundiais de canoagem e agora irá aventurar-se com um surfkayak em ondas verdadeiramente gigantes... vamos esperar pelas novidades! There is a big wave competition going on this week in the US. Tao Berman will also using this swell and jet ski support from the surf contest to tow him into the big waves on his new surf kayak. I'll forward any information I hear about it. I just got my new big wave boat that Randy Phillips designed and Murky Water built. I'm heading out to a big wave surf event that has waves estimated at potentially being between 60 and 80 feet. I'll be on a jet ski and during the event. Then as the waves start to drop I'll be testing my new kayak. Paolo Bartoloni - NEWS TEAM kayaksurf.net - na primeira surfada com o ONA nas ondas de Lido, Roma. Emilie Jonneaux (família de craques!) 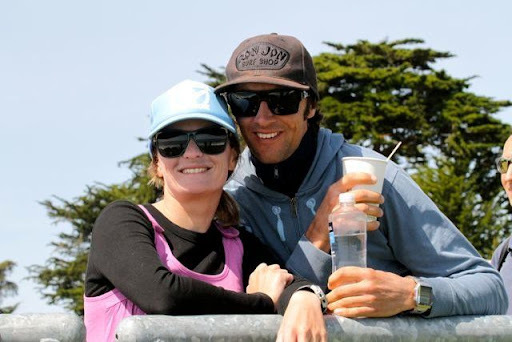 com o W-Easy a conquistar a primeiro lugar na "Coupe de Bretagne Waveski Crozon". 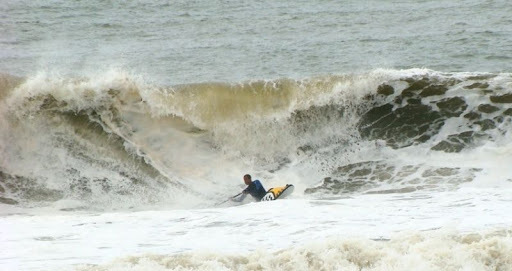 Eoin Keyes na Irlanda surfa igualmente com um... ONA. Três vídeos com a marca da W! Paolo Bartoloni - NEWS TEAM kayaksurf.net - on his first session with Watertech ONA (Lido spot, Roma); Emilie Jonneaux (what a surfer family!) conquers the first place in the "Coupe de Bretagne Waveski Crozon" with the W-Waveski and Eoin Keyes also surfs ONA in Ireland. Three videos with the Watertech gear in! Click on the banners and visit their websites!